Sacrificial anodes die so your underwater gear may live. A war is raging under your boat. High-priced running gear and outboard lower units made of aluminum, copper, and steel face galvanic corrosion. Corrosion occurs when dissimilar metals connect under water. 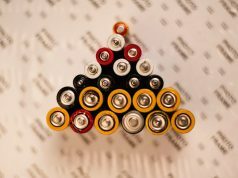 The solution involves connecting an even more “active” negatively charged material to the copper and steel—the sacrificial anode. The anodes are made of aluminum, zinc, and magnesium and connected to the boat’s underwater engine and propulsion parts to take the brunt of the corrosion. They are “sacrificed” to protect the more valuable metals. Aluminum has become a recommended metal for anodes in salt water, and magnesium anodes work best in fresh water. In fresh water, a zinc anode forms a chemical coating that stops it from working; however, zinc anodes are a favorite of many boat owners in salt water despite the advantages of aluminum. “Zinc is still used in the majority of cases,” says Wigg. “It’s fine for use on inboard boats in salt water but that’s really all. However, people are slow to change. They have been using zinc for years and are hesitant to change to something new, especially if zinc is working fine.” When boaters take the leap and try aluminum anodes, they find that they work better than the old zinc anodes and never go back. 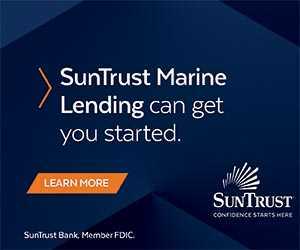 This is especially true for aluminum-hulled boats and outboard motors. 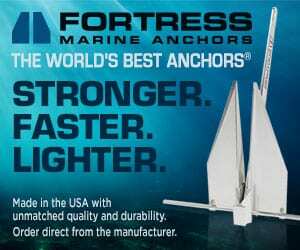 How long do anodes last? “Zinc doesn’t really protect aluminum components that well even in salt water,” Wigg explains. 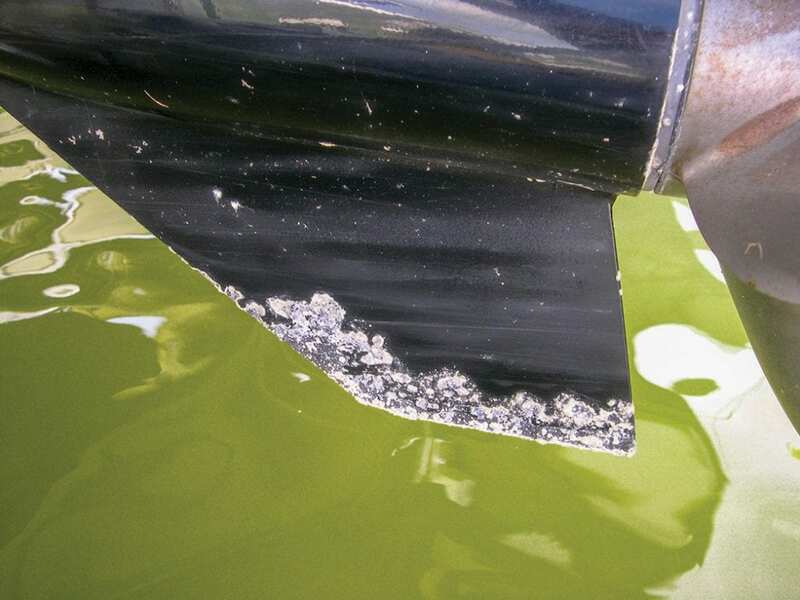 “Many boaters also don’t realize that zinc doesn’t work for long in fresh or brackish water. I have heard people say, ‘My anodes have lasted for years.’ Yes, because they stopped working.” Anodes dissolve over time and, eventually, must be replaced. 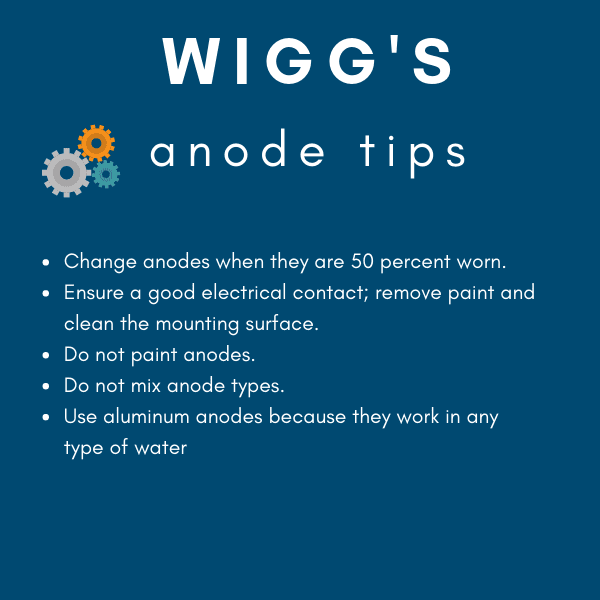 Martin Wigg’s Top Tips for Anodes. Two factors are important. First, to provide good protection, there must be enough anodes to bring the full potential of the vessel down by 0.2V to an acceptable range. The lower the measured voltage, the less likely the metal will corrode. This is where zinc anodes have a problem protecting aluminum components. Zinc anodes sit at -1.05V and aluminum components sit at around -0.75V, a difference of 0.3V, not much more than the required 0.2V drop. Aluminum anodes—a special alloy—sit at -1.1V, a difference of 0.35V, which is much better. “The second factor is that the protection offered is proportional to the surface area,” Wigg says. “So as the anodes wear away, that surface area is reduced. The general guide is to replace the anodes after they have worn down by one half.” Performance Metals’ range of aluminum alloy anodes has a Red Spot plastic indicator that appears on the surface when it is time to change. 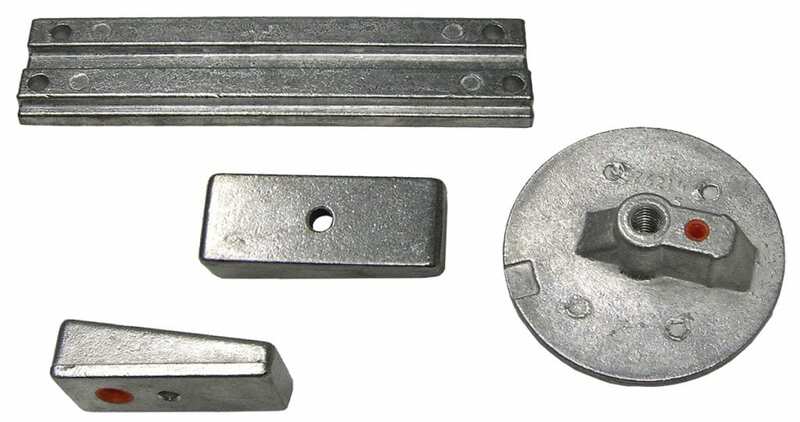 There are various shapes and sizes of anodes that have a variety of purposes. Outboard-powered boats need anodes to protect the engines. Install the main aluminum anodes on the outboards. A transom anode for any other metal components is also advisable and should be aluminum. A zinc transom anode would reduce the protection provided by the aluminum ones on the outboard and speed up their use. Also, outboards are unique because the midsection and lower unit are almost always aluminum. Back in the early 1990s, as the outboard makers saw galvanic corrosion as a huge issue, they sought a better solution than zinc anodes and went to aluminum. Some outboard manufacturers void warranties if anodes are zinc.